My musings about the women of Riyadh would not be complete without discussing the women with whom I live. 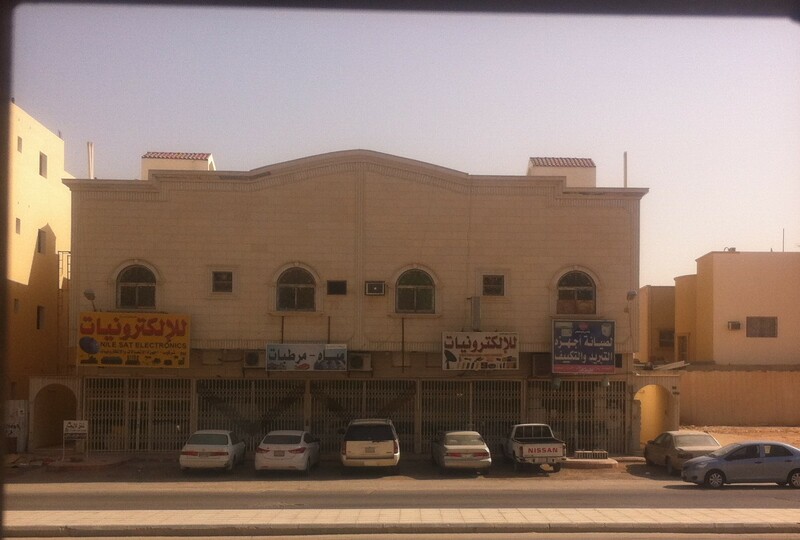 The teachers are all cloistered in a compound, separate from the outside Saudi world. The flats are in the same building, and 1-3 teachers occupy each three bedroom/2 bathroom flat. We have an onsite female complex manager and the front gate is staffed by a security guard. The gate is also usually locked to prevent stray, curious men from gaining access. Because we can wander around the compound abaya-less, the only men allowed in are the maintenance men and the security guard. The absence of testosterone is noticeable, albeit usually in a positive way. Approximately 35 of us live together, work together, and mostly socialize together. We ride together to and from work in a company bus. This is very unlike the U.S. and probably most other work environments, where you get your choice of commuting methods, you pick and choose your after-work companions, and you almost never choose to live next door to them, not to mention in the same home. Usually, the only time you have two co-workers living together is when a serious office romance develops. And if a serious office romance develops here, the women run the risk of going to jail, or being executed for homosexuality. Sometimes, the mix can be a perfect cocktail, other times it can be uncomfortable or even volatile. You have white and black women from post-apartheid South African living together, Americans living with Brits, Muslims with Christians, vegans with omnivores, 22 year olds with 55 year olds, and almost every mix that you can imagine from English speaking countries all over the world. Things usually work out, but not always. I live with one woman from Scotland, and one from Missouri. We haven’t always seen eye to eye, but we have managed to compromise, agree to disagree or taken the attitude to live and let live. The expat teachers must rely on each other in ways that we in the U.S. cannot imagine. If you don’t have an iqama, or a residency card, you cannot cash a check. So you must rely on another teacher with an iqama to take you to the bank, help get your check cashed, and help to wire the money to your U.S. bank. You must also rely on other teachers to help you get around the city. The veteran teachers know which taxi drivers are reliable and honest, which stores are nearby for grocery or clothes shopping, where to go for fresh vegetables and fruit, and how to generally navigate the very different Saudi culture. Of course, you can try on your own, armed with the very general information your employer gives you. But how would you know that as a woman, you cannot sit in the front seat of a taxi unless you want to risk being arrested? How would you know that when a shop says “Families Only” that means that only women and children are allowed in? There is a shift from the good old American delusion of independence, to a more direct interdependence. You well-being in Saudi Arabia definitely depends on it.